Current: Timesplitters Is Back, But What Happened To Its Creators? Timesplitters Is Back, But What Happened To Its Creators? When the PlayStation 2 launched in the year 2000, it possessed a launch title that, despite some flaws, stood out as a wonderfully quirky, competent shooter that would go on to spawn a sequel that remains fondly remembered to this day, even if it’s legacy beyond that is one of longing, failure, and disappointment. TimeSplitters is a name that still warms as many hearts as it breaks. With the recent news that THQ has acquired the TimeSplitters franchise, it’s certainly time to get excited again. And we can’t wait to see what the plans are for TimeSplitters 4. But, what happened to the original developer, Free Radical? During a time where console shooters were either Goldeneye or nothing, TimeSplitters was the debut outing by former Rare employees (that just so happened to work on Goldeneye), spearheaded by David Doak and Steve Ellis, who left to create the U.K. studio Free Radical. There was plenty of proof to show their console-shootery heritage in how well TimeSplitters played. When the sequel arrived two years later, it came with split-screen, four-player deathmatches that were among the best seen on any format. Screenshot from Timesplitters Future Perfect. This was partly down to the eclectic cast of characters (a giant duck and a giant hand among the highlights), but mostly it was because Free Radical understood how shooters should work on consoles, a task that still remains a struggle for many even today. Even when they departed from FPS games for telekinetic stealth game Second Sight, they pulled it off with unassuming grace. The switch of publisher on TimeSplitters 3 (Future Perfect), from Eidos to EA, did little to dampen the quality level of Free Radical’s games, even if it did seem to lack a bit of the charm of the previous title. As the generation ended, the Nottingham-based developers were seemingly untouchable, and fans of ‘Splitters hotly anticipated the company’s next move, eager to see what it could do with the power of the PS3.powers. Here begins the story of Free Radical’s ungracious descent from the top of the heap, and the beginning of the end for TimeSplitters. The dagger in the side of both was Haze, a PS3 exclusive first-person shooter. After 2005’s Future Perfect, Free Radical was desperate to try and show they were more than just ‘the creators of TimeSplitters’. They took up work on two projects. One was the third installment of Star Wars Battlefront. The other was Haze. Haze would be more serious in tone, and the concept was fairly interesting. It saw you unknowingly play as the bad guy for the opening hours of the game. it was all down to a drug pumped into soldiers known as Nectar that altered their worldview. Once free of the drug, you join the resistance and look to take the evil corporate war machine down. It’s fair to say it was hyped up to be PlayStation’s answer to the groundbreaking Halo on Xbox, and why wouldn’t it be? This was made by the people responsible for bringing some of the finest console shooters ever made into existence. They’d even gone as far as to create their own game engine. While Haze was in development, Battlefront III was supposedly coming along nicely (if a bit slowly), with Star Wars legend George Lucas himself showing an interest in it. This could have been the point Free Radical skyrocketed. What followed instead was an unmitigated disaster. Rumors began to surface that there were problems with Star Wars Battlefront III, with whispers of pressure from Lucasarts (and Lucas himself) to constantly change aspects of the game, and costs being cut were mixed with talk that Free Radical was utilizing assets and staff from that project to work on Haze instead. A lot of ‘he said, she said’ followed as the project was canned in early 2008, despite being nearly finished. The upside to this was the company had Haze coming out. At least, it was supposed to be an upside. Haze was once a very different beast. Director, David Doak, remarked that the game was heavily-influenced by Apocalypse Now, and that he hoped Haze’s anti-war message would resonate with players. Perhaps that would have come across better when the game was in its infancy. You see, when Haze was starting development, it was envisioned as a third-person action adventure, closer to Second Sight than TimeSplitters. During development, Modern Warfare happened. 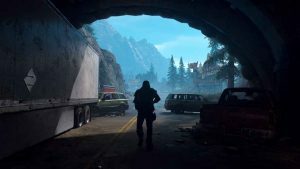 Publisher Ubisoft pushed for Doak’s team to create a Haze that was closer to the money-spinning juggernaut over at Activision. So Haze became an FPS with online multiplayer (and to be the PS3’s ‘Halo beater’) and signed a deal with Sony to make Haze a PS3 exclusive. On paper, this made perfect sense for Free Radical, after all, the genre was their calling card, and the PS2 had been its birthing ground. Yet the struggle to deal with demands from both Lucasarts and Ubisoft clearly created a pressure cooker situation. One that resulted in the uneven, dull, heavily flawed mess that arrived on PS3 in May of 2008. Haze received a critical kicking upon release with many games media outlets echoing similar sentiments about how it was a crushing disappointment. Among the listed criticisms were that the campaign was criminally short, the characters were unusually bland by Free Radical’s standards, and that the plot was woefully inept, not to mention the large collection of glitches. Average scores worked out to about 5/10, with outlets such as Giant Bomb and Eurogamer handing the game a 4. The closest to positive scores Haze got from mainstream games media was 71% from PSM3 magazine and a bizarrely high 34/40 from Famitsu. With the PS3 already lagging behind the 360, sales were poor, and Haze was a failure that had now terminally-damaged Free Radical’s reputation. Combined with the cancellation of Battlefront III, the company had made such a significant loss that it went into administration months later, with rumors of the entire studio folding surfacing just before Christmas. This left a long-teased fourth installment of TimeSplitters languishing in development hell (it had first been teased at the end of 2007) that showed no signs of ending. It turned out that Free Radical was just about safe for now, administration had cut their staff down to under a quarter of the original 185 working there at the time, but in February of 2009, it was revealed that German games company Crytek had bought out Free Radical and rebranded them Crytek UK. Crytek funded a move to Nottingham’s new development area Southreef, a £50m investment that was supposed to grow the company once more and help it to flourish in the years to come. 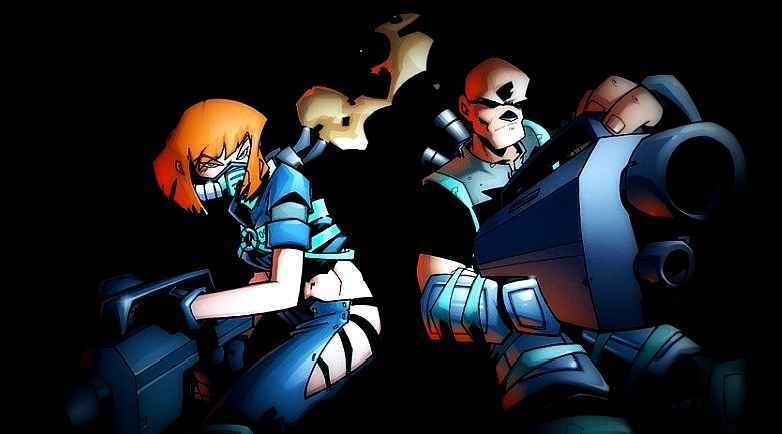 Things were quiet for a while, the hope was that work would continue on TimeSplitters 4, but it was officially announced as being ‘on hold’ in August that year. Instead, Crytek UK was set to work on making the multiplayer portion of Crysis 2 and did so until the game’s release in 2011. There were hints of Free Radical in that multiplayer, but worryingly, it was pretty unmemorable by the lofty standards of old. The good news finally came after Crysis 2’s release. Crytek UK was going back to TimeSplitters 4 development, now powered by CryEngine 3. This excitement soon received the hose of disappointment again a few months on as the game was ‘indefinitely postponed’ due to it being a perceived a high-risk gamble. The following April, a Crytek spokesperson announced the game was no longer in development. Fans petitioned heavily to get Crytek to reconsider but to no avail. Timesplitters Rewind is a fan-made project and as such, is taking a long time to finish. Crytek did throw TimeSplitters fans a bone, however, when they allowed them to pool together to create a mod version of TimeSplitters in CryEngine 3, with access to the original assets. 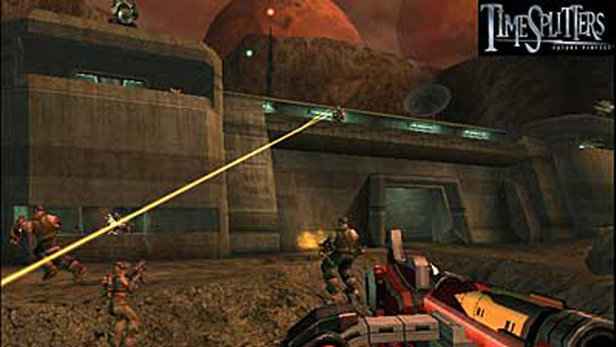 That project became TimeSplitters Rewind, an upgraded version of the multiplayer maps of the first three ‘Splitters games. Despite all the troubles the franchise had been through, it still remains in production to this day. It’s made by dedicated fans with the right knowledge, as well as some former Free Radical employees. There’s even a PS4 release on the cards, complete with traditional four-player split-screen multiplayer. As for the developer formerly known as Free Radical? They were to have further turmoil in the coming years. 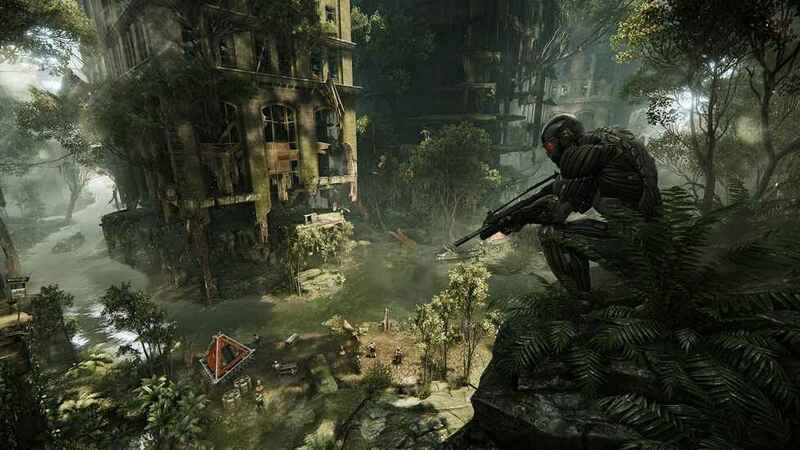 Crytek UK went off to work on the multiplayer mode for Crysis 3, and later, the Xbox 360 version of Free-to-Play title Warface. It was more unspectacular stuff from the company that brimmed with creativity until Haze brought it to its knees. 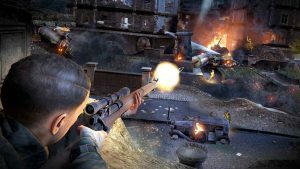 A corner seemed to be turned when it was given the chance to create a full game again, with a sequel to Homefront, a shooter about Korean forces invading the US (it wasn’t all that great). The IP had been acquired by Crytek from fellow publishers THQ after they went bust. Not even the minds behind Timesplitters could make Crysis 3’s multiplayer click. Homefront: The Revolution had been in production at THQ until the bankruptcy(folding the game’s developers Kaos Studios in the process), but Crytek UK was handed the reigns and given a 2015 release window for the open world shooter by their parent company and co-publishers Deep Silver. In the summer of 2014, details of troubles between Crytek UK and Crytek began to emerge. 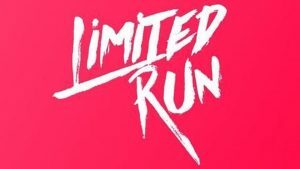 There were reports of unpaid bonuses and missed wages for the UK studio, which led to walk-outs and filing of grievances by staff. A month later, Crytek sold Homefront: The Revolution to Deep Silver’s parent company Koch Media. Crytek UK effectively folded to become Dambuster Studios. Deep Silver then enlisted Dambuster to remain working on Homefront, with a new release window of early 2016. That game did not turn out well. At launch, Homefront: The Revolution was a buggy, treacly mess. The hot potato development cycle had had an unfortunate lasting effect on the game, and the fussy CryEngine once again proved difficult to rein in on a PlayStation console. It was hardly the fault of Dambuster Studios, who had salvaged as much as it could from the wreckage that was the game’s development, but the black cat just kept crossing its path. There’s good and bad to come out of the ashes of Free Radical. It’s great that the company still exists, and still got another chance to redeem itself with Homefront: Revolution, even if that didn’t pan out. Hopefully, it won’t prevent publishers giving Dambuster Studios more opportunities. It had always seemed the company would never get to return to the series that made its name. Crytek may have let the staff go, but they’d kept the TimeSplitters IP. Now, with THQ Nordic, Dambusters current boss, having procured the Timesplitters (and Second Sight) IP, there’s a chance for things to come full circle. Dambuster could come through all that misery and heartache and have a shot at reviving the very franchise that launched it to such heady heights all those years ago. TimeSplitters 4, anyone? Dambuster can feel blessed as a studio to be able to get another shot at redemption, but will they ever become as relevant and imaginative as they once were when they released an FPS title that let you play as walking Calamari years before Splatoon was ever a thing? Well, lets hope that this won’t end in the cancellation of Timesplitters Rewind.